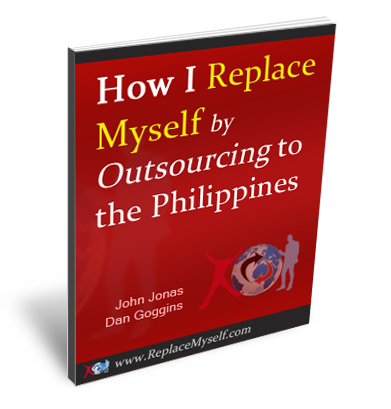 This post is part of a series on outsourcing from a Filipino perspective. Part 2 of Râ€™s blog post is especially important because it talks about one of the most common problems that discouraged business owners from outsourcing to the Philippines and hiring Filipino workers. I canâ€™t guarantee that all the Filipino employees that youâ€™ll encounter are honest and hardworking. There will be bad apples in every bunch. But that shouldnâ€™t discourage you from outsourcing. If you want to be the CEO of your own business and live the 4 hour work week (or the 17 hour work week like me) you need to be able walk away from your business. 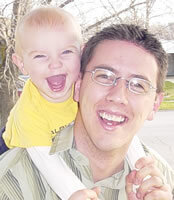 You need to delegate tasks and hand over the reins to people you can trust. The problem that R talks about here is probably (and hopefully) the worst that you will encounter. Fortunately, there are ways you can prevent this problem and solutions if you do encounter them. Remember that lasting success doesnâ€™t come easily. And with outsourcing; just like in a fairy tale, you may need to kiss a few frogs before you find your outsourcing prince (or princess). Some employers find out that their employees are working with other foreign employers even though they are paying them on a full-time basis. I personally find this thing an act of dishonesty but I will discuss some possible causes of it. One possible cause why an employee will seek to work for other people is the kind of task given to them. If you give your employee a boring, copy and paste task that he/she can finish in just 4 hours when he/she is good at it, then that employee would have a great chance of getting other work from others employers. Another possible cause is the salary. If the employee is not satisfied with the salary, that employee would find other means to have additional income. And one way to do it is to work for other people. Donâ€™t just give a redundant task. Give your Filipino employees more room to learn. When we have the opportunity to learn more, we get excited and will took some time to read and to write notes about the new idea we are learning. This will make our mind work well enough that we can think of better ideas on how to do our tasks. Giving redundant tasks is like creating a robot and program it to do similar task every day. We are not robots; we are human beings capable of learning and are willing to learn more if the employers are also willing to trust us with these ideas. Use a tracking program such as RescueTime to track your employees work. I know some of you would say that your employees are not willing to use it. Well, maybeâ€¦ But when you have established a good relationship from the very start, this wonâ€™t be a problem on most employees. It still goes back to employee and employer relationship. Let them understand why you are doing this.